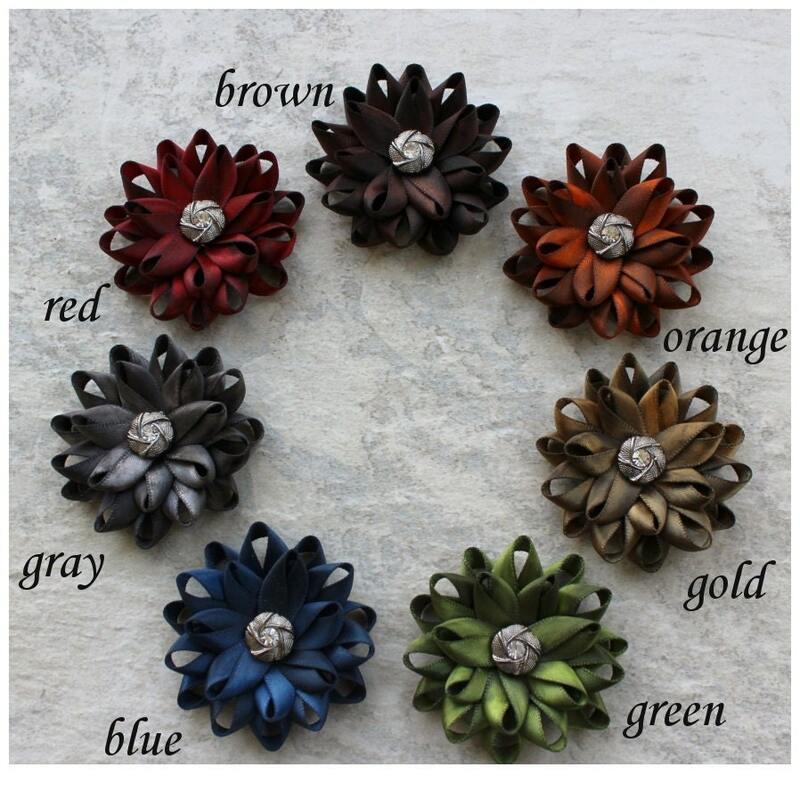 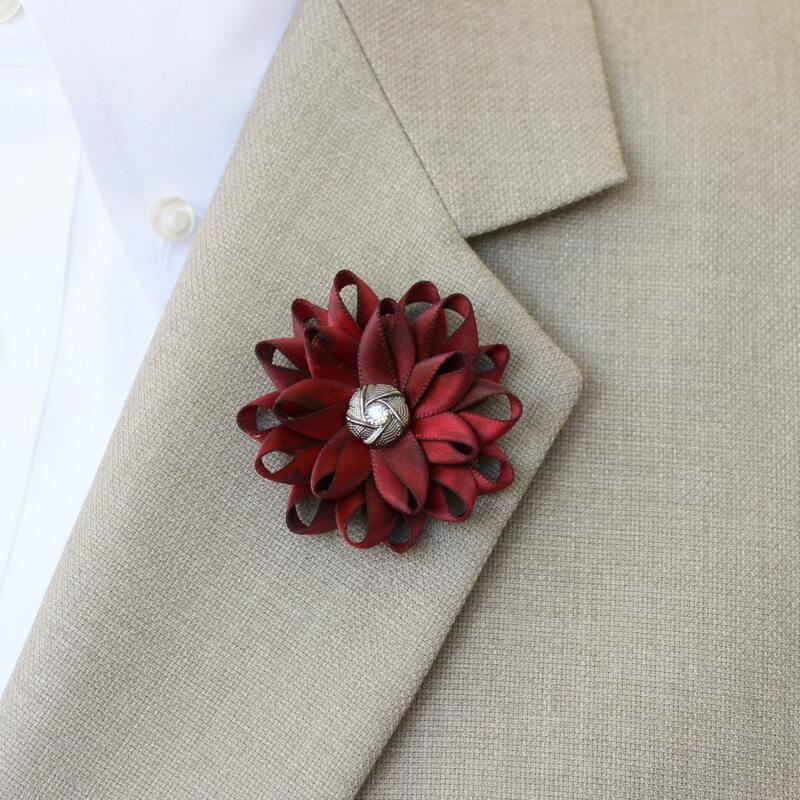 Choose your color for this uniquely handmade lapel flower! 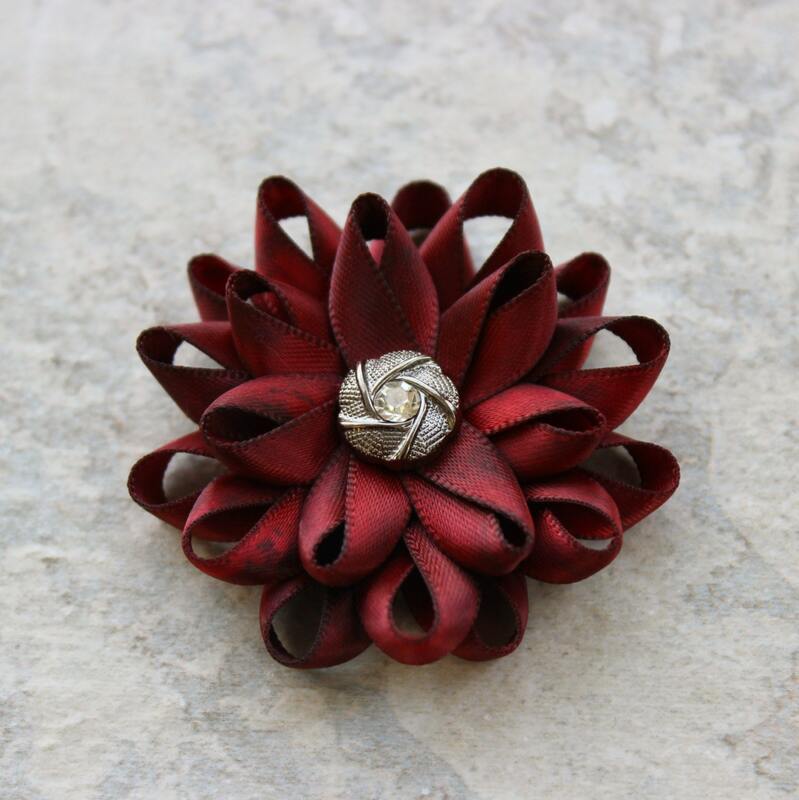 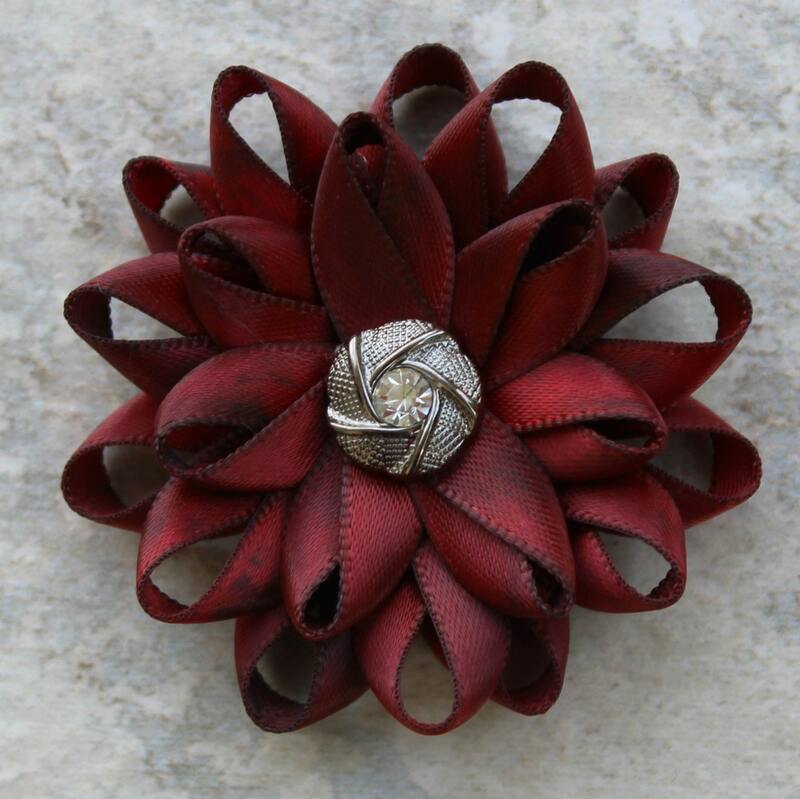 Shown in Red, each flower is created from hand-dyed ribbon, giving it a beautiful and varied depth of color. 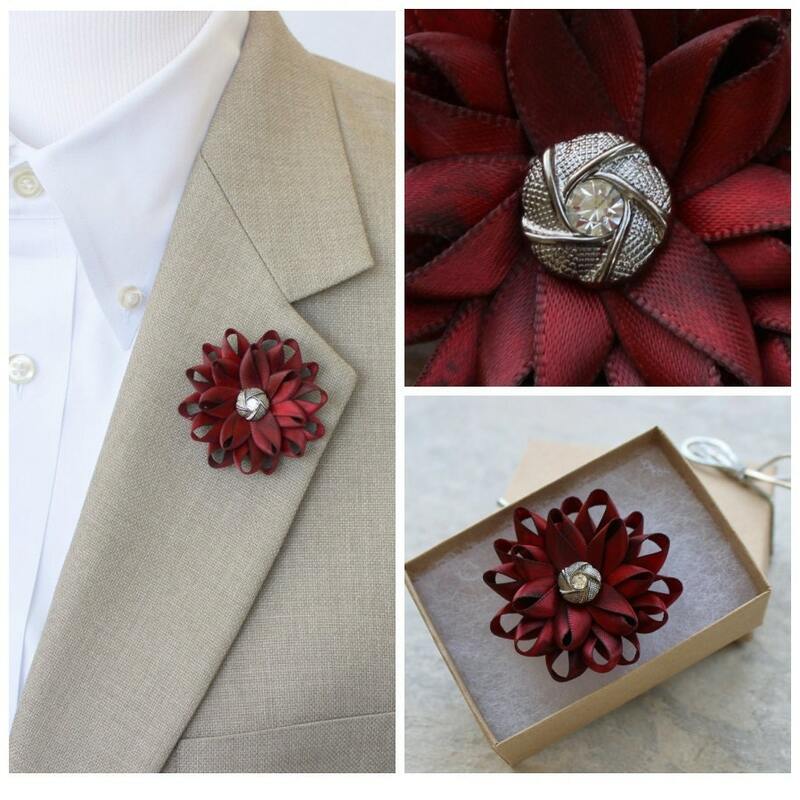 The center is textured gunmetal with a small crystal center.